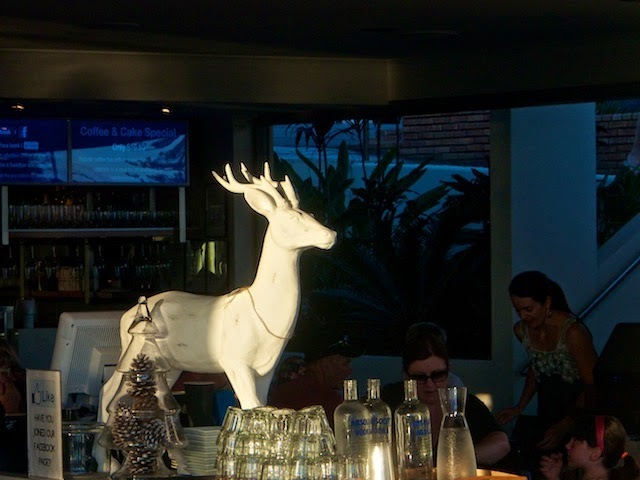 A reindeer watches over pre-Christmas diners or perhaps guarding a glass pine tree full of "snow" trimmed pine cones. It's thirty-five degrees and mid summer, and the nearest living snowflake is in the Antarctic. There may be a living reindeer at Australia Zoo, so I'd better not continue with this line of thought. This reindeer certainly does stand out.